Community Wine & Whiskey Feast! 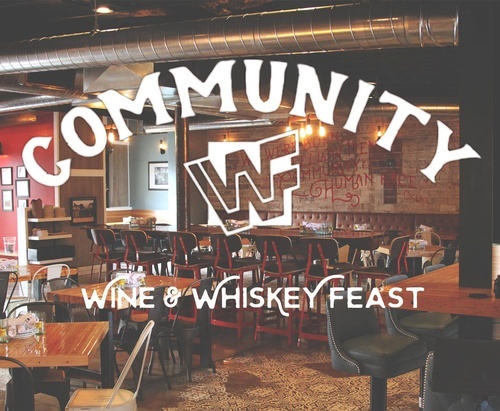 Join us for Community’s first ever Wine & Whiskey Feast, and indulge in five chef-curated courses, each of which will be accompanied by a select A.D. Law’s whiskey or wine paring. All courses will feature local meats, cheeses, farm-fresh produce and fresh seafood, as well as world-class wine & whiskey accompaniment. There are only 80 seats available, and they will be given on a first come, first serve basis! Who: You and your closest friends and family! Your credit card information is required to reserve your seats, but you may pay however you like on the night of the event. Credit cards will only be charged if you are a no-show or if you fail to cancel your reservation at least 48 hours before the event. Please comment on your RSVP below with any allergen or dietary restrictions, and please let your server know upon arrival.